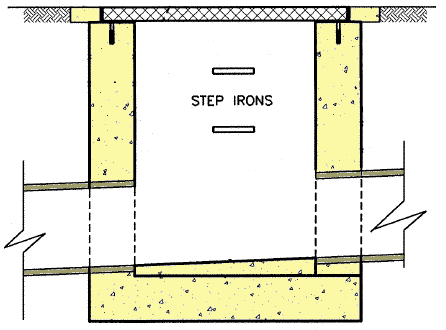 A junction pit is a stormwater pit lacking an surface inlet of any type. Junction pits are typical used in the following circumstances. To allow access to a long pipe at regular intervals, usually not greater than 90m. To join two or more upstream pipes. To connect pipes laid at different grades.